We’d love your help. Let us know what’s wrong with this preview of Lost Domains & Worlds Regained by David Fensome. The argument is straightforward: in Evelyn Waugh’s journey into isolation, Brideshead Revisited marks the spot where he cut his ties with the twentieth century: when he and his epoch began to travel in different directions. In terms of subject and theme, and matters of style the novel stands alone in his body of work; it assured his reputation as a best-selling author, whi The argument is straightforward: in Evelyn Waugh’s journey into isolation, Brideshead Revisited marks the spot where he cut his ties with the twentieth century: when he and his epoch began to travel in different directions. In terms of subject and theme, and matters of style the novel stands alone in his body of work; it assured his reputation as a best-selling author, while simultaneously condemning him to critical dismissal by previously admiring critics and commentators. He is revered as a literary craftsman yet harried for his staunchly conservative Catholic views, opinions which are frequently judged to be, by critics most harsh towards him, those of either the snob or the fascist. A multi-faceted man, capable of acts of modesty, charity, and unheralded kindnesses; as well as cruelty, rudeness, and great prejudice, Waugh remains a man who defies a neutral judgement. His work, all of which is still in print over 50 years after his death, contains some of the funniest and most beautiful passages in twentieth century English literature. This book can be split into two parts. The first part, sections one to four, attempts to place the novel in its historical context and also within Waugh’s oeuvre; to offer an insight into Waugh’s life and preoccupations when he is engaged in writing the novel; and to summarise the critical response. The second part, section five presents ten approaches to the text from a variety of biographical and theoretical perspectives. These are offered as preliminary sketches of perhaps much longer pieces. They are included to suggest points of departure for approaches to Waugh, his work, and those aspects of his thinking and instincts which contributed to his art in general, and Brideshead Revisited specifically. 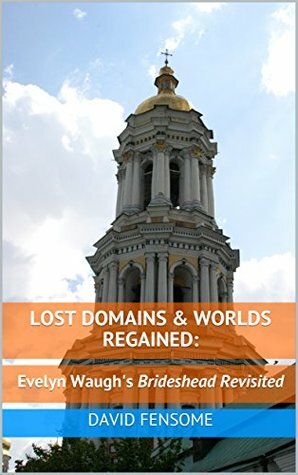 To ask other readers questions about Lost Domains & Worlds Regained, please sign up.